Are tax amnesties a solution during crisis? Many governments in emerging markets mistakenly believe that they can reduce the level of informality by forgiving past tax debts of companies that come forward. Turkey, for instance, has had ten tax amnesties since 1963—one nearly every four years—and five social-security amnesties since 1983. Their provisions included the right to base the payment of past taxes on historical values of Turkey’s currency, the lira. Given the country’s high inflation rates, this approach greatly reduces the amount businesses have to pay. A McKinsey study shows that governments make ongoing enforcement more difficult with such measures, since companies wait for the next amnesty before coming clean. In developed countries, the penalties are usually two to three times the amount of the evaded taxes, coupled with imprisonment if the evasion is persistent or involves more than a set amount. Tax evaders in emerging markets often get by with a slap on the wrist; in Turkey, for instance, the fine for VAT evasion is less than $20. Probably corruption has also something to do with how evasion is considered in emerging economies. What do you think? Previous PostGauging Romania’s lobby market potentialNext PostHow do you promote a city creatively? See Stockholm’s example! So your question is actually: for whom are tax amnesties a solution during crisis? I would add – introduce the flat rate system. Clutter pricing techniques won’t work so well, low tax with no political manipulation, no tax brakes, no way not to pay. The European Commission has formally requested Greece to change its tax legislation which discriminates against funds held abroad by Greek residents. Under the Greek tax amnesty, disclosed funds which are transferred to a bank account in Greece benefit from a lower rate of tax than those kept abroad. The Commission considers these discriminatory provisions to be incompatible with the freedom to provide services and with the free movement of capital provided for in the Treaty on the Functioning of the European Union (TFEU) and in the European Economic Area (EEA) Agreement. The request takes the form of a “reasoned opinion”. If there is no satisfactory response within two months, the Commission may decide to refer the case to the EU’s Court of Justice. 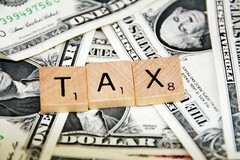 Greek taxpayers that voluntarily disclose funds which are held abroad can benefit from a temporary tax amnesty. In addition, if they transfer these disclosed funds to a bank account in Greece for at least a year are meant to pay a 5% tax of the funds while the applicable tax rate is 8% for those funds which are maintained out of Greece. The Commission considers that these rules dissuade Greek taxpayers from maintaining their disclosed funds in other Member States or EEA countries. Therefore, the rules in question constitute a restriction on the free movement of capital of Article 63 of the TFEU and the freedom to provide services of Article 56 of the TFEU, and the corresponding Articles of the EEA Agreement. Thanks for the update on Grece. Sorry, Elliot, I don’t use Twitter but you can subscribe to the blog and get all the articles by email as soon as they are published. There is also the RSS feed you can subscribe to if you use such a reader.